2 Kgs Veg Black Fore.. 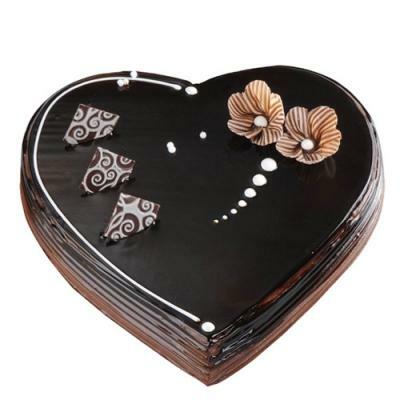 This is an exotic heart shape chocolate cake formed with a soft chocolate sponge at the base layered with mouth-melting Dutch chocolate! The cake is beautifully decorated with chocolate flowers and cubes which make the cake look more rich and elegant. This is prefect fodder for chocoholics to treat their taste buds! 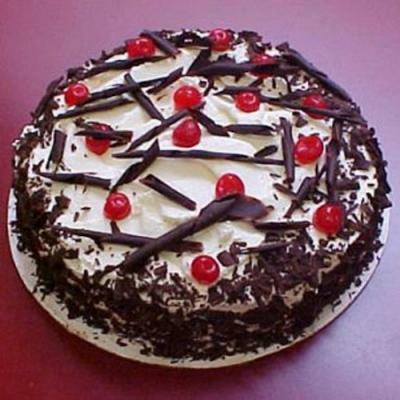 Also, this cake is a best gifting option to your beloved during special occasions. 1 Kg Chocolate Cake with icing saying as "I LOVE YOU".